In some of my earlier posts, I discussed briefly about the testing I did for the first version of Common Data Service to integrate Dynamics 365 for Sales and Finance & Operations. That was primarily for syncing customer accounts and all associated information. Microsoft also ships several data integration templates out of the box for this, which covers pretty much all key entities in the Prospect to Cash scenario. Microsoft PowerApps to build mobile apps and extend business processes easily with minimal or no coding needed . Microsoft Flow to automate routing, approvals, event based actions and notifications etc. Power BI for incredibly stunning data visualizations and data intelligence. Microsoft Azure technology stack, such as Azure functions, Artificial intelligence, Machine learning and much more. Probably, no other business application platform provides this breadth of technology and functionality that Microsoft Dynamics 365 provides today. In my last post, I explained the Common Data Service and the capabilities, what is coming etc. In this post today, I will share some of my findings of testing of Prospect to Cash integration scenarios between D365 Sales and D365 Finance & Operations. One of the most common requirements of every ERP implementation is the integration of the Sales and marketing application with the Finance and operations application, to exchange business data such as Customer accounts, contacts, quotations, sales orders, products, invoices and more, so that the respective team members from different teams can get a 360 degree view of the customer’s data. The Microsoft Common data service aims to make it possible to integrate Dynamics 365 For Sales and Dynamics 365 For Finance and Operations out of the box, with various data project templates readily available for use. You may argue why use Common Data Service to build integration between the apps/services Vs. just leveraging OData Service or even Customer services (REST/JSON). Sure, you can always leverage either OData Service or the Custom Services to build your integrations between D365 for Operations with other Dynamics 365 or other 3rd part services if you feel more comfortable with that approach. However, leveraging the CDS will give you advantages such as, voiding significant investments in writing custom integration that you need to maintain at a cost. Additionally surfacing business data from multiple business applications of your organization into CDS provides you the capability to create mission critical business intelligence using Power BI or even build custom apps with ease leveraging PowerApps. Connection Sets defines what apps/services/systems you are going to connect for data exchange. In PowerApps Admin center, I have already created my Connection Set, that establishes connection between my D365 For Sales and D365 For Finance and Operations apps. I also have done the Organization(s) mapping between these two apps, so that my data will surface in the required entities/organizations. Screenshot below shows the Connection set I have established. This is the first thing you need to setup, before you actually setup the data integration projects. The Data integration projects defines what entities are being integrated/synced between the two apps defined in the Connection set. It contains the following information. A template of the project (Predefined list of Data integration projects provided by Microsoft). Note: Currently, when you create a new data integration project, you are required to select a predefined template. This might change in future, where you can create your own mapping. Connection Set: Select the connection set you want to use within the data integrator project. Organization Mapping: Since you could define more than one organization mapping within one connection set, you will can select a organization mapping that is applicable for the data integrator project. Tasks: The data from the source app (D365 For Sales ) flows through the Common Data Service(CDS) to the Destination app(D365 For Operations). The tasks under the project contains the individual data field mapping between the entities in source app, CDS and destination app. It also contains the information such as how frequently the project should run (Manually Vs in Batch). A default task comes automatically when you use a template to create a data integrator project, however, you can add your own tasks to the project, where you can map additional entities. 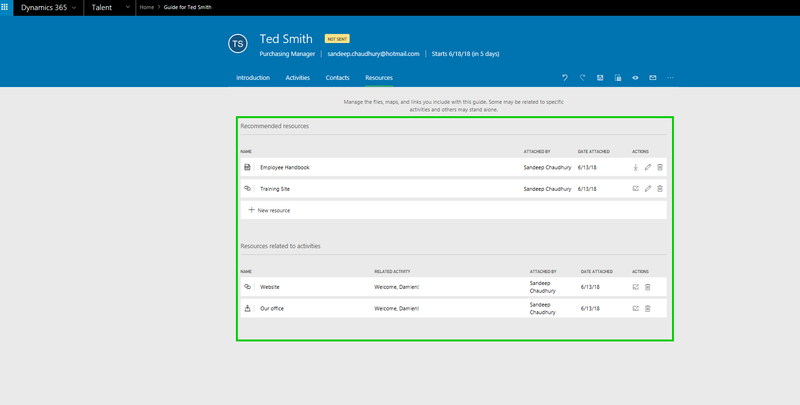 Below screenshot shows the new customer I have setup in D365 For Sales. I ran the data integrator project now manually in CDS admin center. In an ideal scenario, you would set it up to run automatically. When the project run successfully , you can see the detailed execution history which will tell that the data got successfully transmitted from source to destination (D365 Sales to D365 For Operations in this case). See screenshots below. This execution log helps you identify issues with data sync if any and take necessary actions. Now that the execution happened successfully, let us go verify if the Customer account got successfully created in D365 For Operations. Sales Invoice details from Operations to Sales. 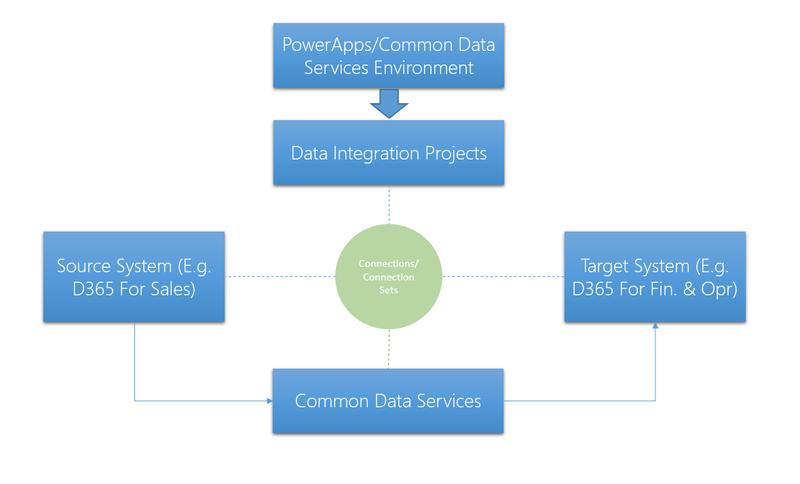 The Common Data Service platform seems to be very promising and is absolutely the right step in the right direction for enabling integrations and extension scenarios for Dynamics 365. With all honesty, CDS platform and functionality is fairly new and we are seeing new capabilities being added frequently. At this point, I have some important questions such as the below, for which I have still trying to get answers . I certainly need to learn more. How does data updates/modifications/deletions sync. Why do I need to select a template always to create a new data project. What about notifications on execution history/results. What happens to Bi-directional data update for an entity. what is the data size/volume limitations for the Data integrator. I am also not very clear on the data security management of CDS . It looks like there are security roles and permissions that Microsoft provides in CDS, but looks like this needs to mature more. Right now, it seems like you can connect only Azure based services/apps. I don’t know how this will work with non-azure/external apps/services. At least, I have not tried yet. In my view, it does not look like the out of the box integration is ready for prime time, that customers can simply deploy and get going smoothly without issues. This will change significantly for sure in the months to come, when more features are released and bug fixes are out. I would imagine by the Fall of 2017, we should see a much robust out of the box integration using the CDS. Customers who are flexible to adopt the platform with a long term vision for success, can adopt the CDS integrations right away and go through the process of learning and will certainly get return on the investments in long term. In my post on “My favorite features from the July 2017 update of Dynamics 365 For Finance & Operations“, I highlighted the availability of the Prospect to Cash integration scenarios between Dynamics 365 For Sales and Dynamics 365 For Finance and Operations. The out of the box integration is probably one of the best things that can happen to an ERP and CRM platform, where we will now depart from the traditional way of writing custom integrations every time, to be able to connect CRM and ERP systems. With the power of “Common Data Service(CDS) and the new “Data Integrator” feature now available, the integration of Dynamics 365 for Sales (CRM) and Dynamics 365 For Finance and Operations (ERP) is now possible right out of the box in Dynamics 365, with no or not much custom integration needed. 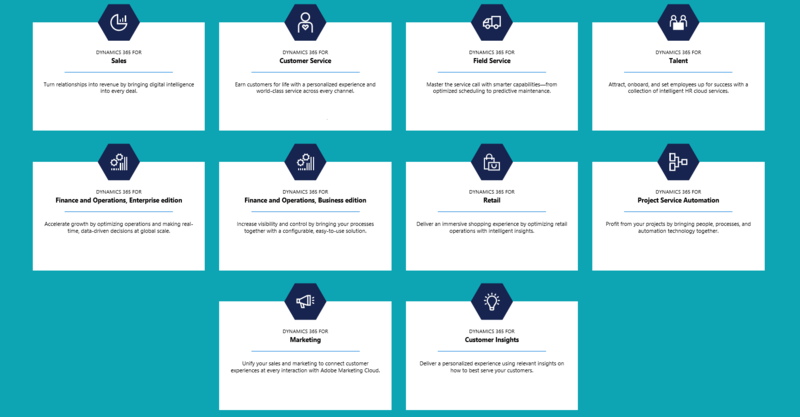 In this post, let us decode some of these new features and terminologies into simple definitions, so that we all can better understand what these are, how they work and what benefits these will bring on to the table for partners and customers. Common Data Services: The ultimate purpose of Digital transformation initiatives and implementing business applications for an organization is to be able to drive and produce actionable data and then democratize the data for key users to make more sense out of those data from all areas of the business. You can then use the data to create BI dashboards/reports using Power BI or configure business apps using Microsoft PowerApps and share it with others in the business as needed. At the core, Common Data Services is a Microsoft Azure based Cloud data storage service that allows to surface data from multiple applications (Such as Dynamics 365, Office 365, and other similar Azure or Non-Azure based services), and make them all available at one central place. The data model in the Common Data Services is referred to as the “Common Data Model” that basically contains several out of the box data entities. These entities then contain the required set of data fields to store the data. Some examples of these data entities are “Customers”, Accounts, Contacts, ERP Sales Orders etc. When you create a new environment in CDS, you will see the readily available entities that you can take advantage of, or you can create your own entities as you need. You can also modify the standard entities of CDS to be able to store data specific to your business. Screenshot below shows some standard entities of the CDS and specific data fields of one of the entities. Data Integrator: With that high level overview of what is Common Data Service, let’s understand what is the Data Integrator. 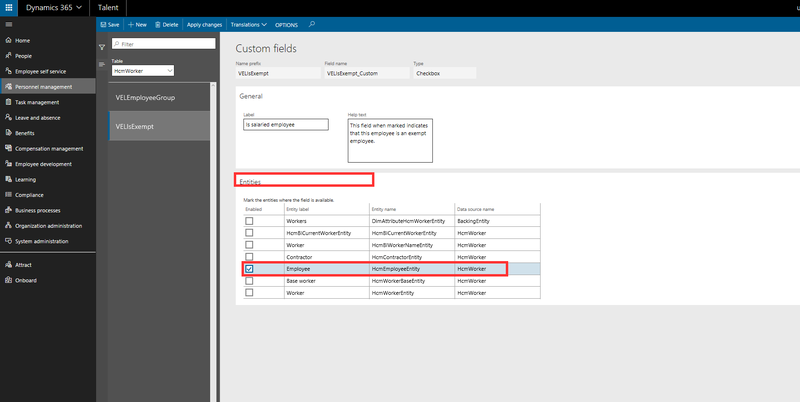 The Data Integrator is a new feature of the Common Data Services, that lets you build an end to end view of your business data by making Dynamics 365 data available in Common Data Service. It enables you to connect multiple business applications such as “Dynamics 365 for Sales” and “Dynamics 365 for Finance and Operations”, by surfacing data from the source app to CDS and then passing it over from CDS to the target app automatically. This is done through a set of Connection definitions and Connection sets, which are eventually used in the data integrator projects. Connections basically stores the active directory credentials for your target app/system. 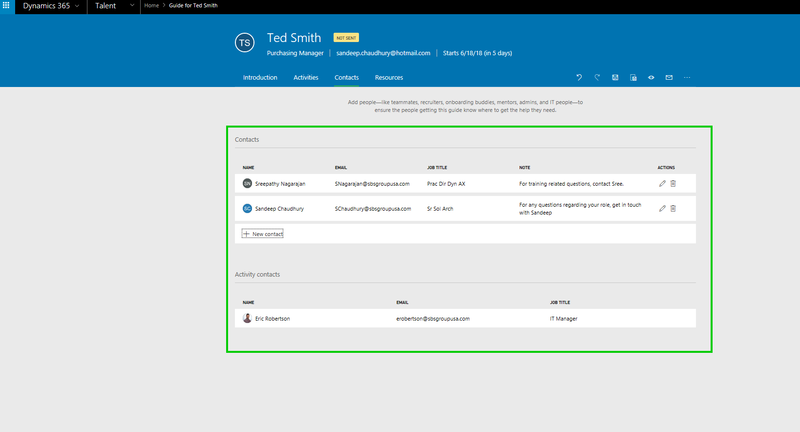 Connection sets primarily stores the organization mapping info(For example the Legal entities of D365 For Finance & Operations app and Sales Unit/organization of D365 for Sales). We will discuss more about the specifics of the Connections and Connection sets in a future post. The data that is synchronized to CDS by Data Integrator is currently Read-Only and will not be editable. You can use the CDS data to sync that to other business apps or to create business applications using Microsoft Power Apps and CDS SDK. Customers can create Data Integration projects by themselves from scratch or use existing templates provided by Microsoft and then set those data integration projects to run on a recurring basis to sync data into the CDS flow the data between multiple applications. Screenshot below shows some data integration templates that are already available to pass data between Dynamics 365 for Sales and Dynamics 365 For Finance and Operations. These templates seems to be supporting the Prospect to Cash scenario between D365 For Sales and D365 For Finance and Operations, where you can pass Customers/Accounts data from Sales to Operations , pass Products/Items data from Operations app to the Sales app, or pass Sales quotation data from Sales to Operations(Still in preview) via the Common data Services. Note: I have not configured my D365 For Sales environment yet, so I am not able to test the full experience yet, but it is very obvious how this feature is architected and how the data flow will happen between the apps. I will be able to test this soon, when the environment is ready in coming weeks. 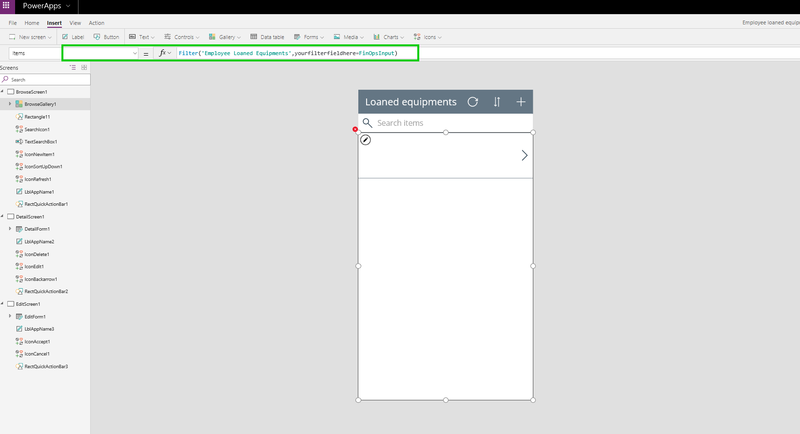 PowerApps and CDS: If you do not know already, think of PowerApps as the front end interface for interacting with the data in your database (which in this case will be the Common Data Services or any other supported services). The configurable data integrator feature of the CDS is the first step towards integrating the Dynamics 365 apps (Such as D365 For Sales and D365 For Finance and Operations). Down the line, all the apps under Dynamics 365 such as D365 for Project Service Automation, D365 for Field Service etc., will be supported for this integration, where we will be able to sync data between all these different purpose built apps using the CDS as the staging database. 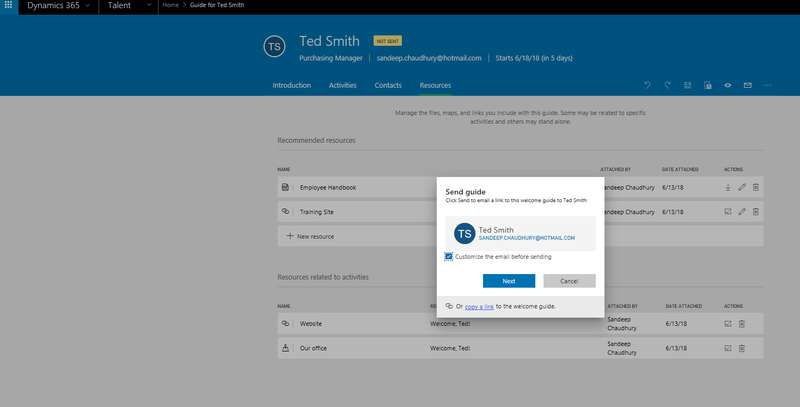 What is next: For customers who have the Plan 2 or Dynamics 365 For Finance and Operations subscription, they have access to Common Data Services and the Data integrator feature right now. Go and explore what you will do with it!! I will share some real time testing experience of the Prospect to Cash integration scenarios between D365 Sales and D365 Operations with the Data Integrator, Connections, Connection sets etc., once I have my environment for D365 For Sales configured and after I have fully tested it. Till then, stay tuned, stay current !! The date for the general availability for Dynamics 365 For Talent is nearing !! The Technical Preview is out now and you can get your hands on it to realize the tremendous potential and capabilities this new app brings out of the box, to help manage the end to end Human Capital Management (HCM) and Talent management functions of your organization. I have been evaluating this upcoming app for sometime now and I did play around the Technical Preview environment also. I would like to share some of my observations and how I think it will benefit for customers who already have subscribed to Dynamics 365 Enterprise edition and customers who are evaluating Dynamics 365 for their organization. Note: In this post, I don’t intent to go deep into exploring features and functionality. I will do that later in future posts after General availability. Take a quick look at the video below to get an idea of what Dynamics 365 For Talent can do for you. First thing first ! Dynamics 365 For Talent is a cloud only, true SaaS offering from Microsoft under the Dynamics 365 platform, and it focuses only on core Human Capital Management and Talent Management aspects of an organization. This app is not customizable(as you would expect in other Dynamics 365 apps such as Operations), but it is certainly extensible, to meet customer’s specific needs. Breaking Free from Core Finance and Operations app was a good idea: Many of us may have the question “Why a separate dedicated cloud app for HCM only, when Dynamics 365 For Operations app natively supported a fully integrated HR Module with a lot of native HCM and some talent management capabilities already?”. Well, from my perspective, it was a very bold and good move from Microsoft to break free the HCM component from within core finance and operations app, but still keep them both integrated. HCM and Talent management is key to every organization of any size and having all core HCM and Talent management functions within the Operations app was kind of limiting the scope of all the enhancements, that one can make in the HCM areas. It was also a lot of crowded core HR related sensitive employee data within the Operations app and it made customers spend time to deal with building stringent security configurations to hide these sensitive data. The road is now paved to innovate faster and compete with other industry leaders in cloud HCM apps: The separate app for Talent management under Dynamics 365 platform will enable organizations to subscribe and use just the Talent app and also use it in conjunction Finance and Operations, based on what the needs are. 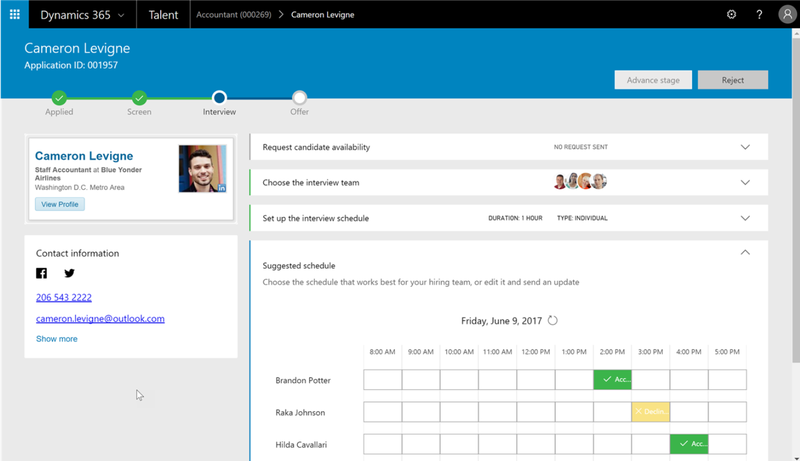 This will also enable Microsoft to make this a full fledged HCM/Talent management app by adding new innovation focused specifically on HCM and be able to compete with other industry leaders . We are already seeing the innovations with the deep LinkedIn integration for Talent attraction and onboarding. Best in class Talent attraction and hiring experience with LinkedIn integration out of the box: With deep integration to LinkedIn, Dynamics 365 for Talent will set itself apart and ahead of the game, when it comes to HCM and Talent Management. It is certainly poised to provide the best talent hunting and hiring experience for your organization. How many companies do you know today that does not rely on Linked to look and hunt for the best talent? So, with the deep integration with Dynamics 365, it will be your one stop shop for all aspects of attracting and retaining top talent. This will be the game changer. Key HCM related analytics and dashboards are readily available. Microsoft PowerBI being the backbone, Dynamics 365 For Talent also provides various prebuilt PowerBI content packs for all sort of analytics and dashboards you will expect. All out of the box! Extensions and Integrations: Having Dynamics 365 For Talent as a standalone app and not providing any integrations out of the box with ERP (Finance and Operations apps) will not make much sense. 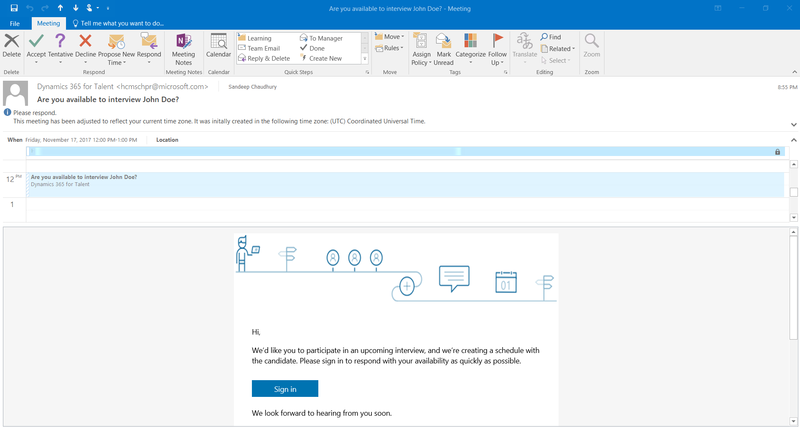 Come fall release later this year, we should start seeing out of the box integration of Dynamics 365 for Talent with Dynamics 365 for Operations app, where all necessary core workers related data needed for managing operations and finance will flow from Talent to Operations app. Let us stay tuned on this. 3rd Party Integrations: Not only integrations within Dynamics platform, but this will also make it easier to integrate with external ATS, Payroll Providers and background check providers. Licensing and Subscriptions: Since this is in Technical Preview now, no licensing details are out yet from Microsoft. But we should be fairly assume that Customers who have subscribed to the Enterprise Plan 2 of Dynamics 365 should get access to Dynamics 365 For Talent by default. Stay tuned for more updates on this. What will happen to Customers who have invested in the Core HCM functionality of HCM module in Dynamics 365 For Operations or AX 2012 R3: While we need to wait to see more details around this, it surely looks like many of the core HCM functionality will move away from Dynamics 365 For Operations to Dynamics 365 For Talent in coming releases. I believe the customers who have used the built in HCM module of Dynamics 365 For Operations should be able to migrate most/all of their data to Talent and take advantage of the integration with Operations when it comes out in the Fall or later release. 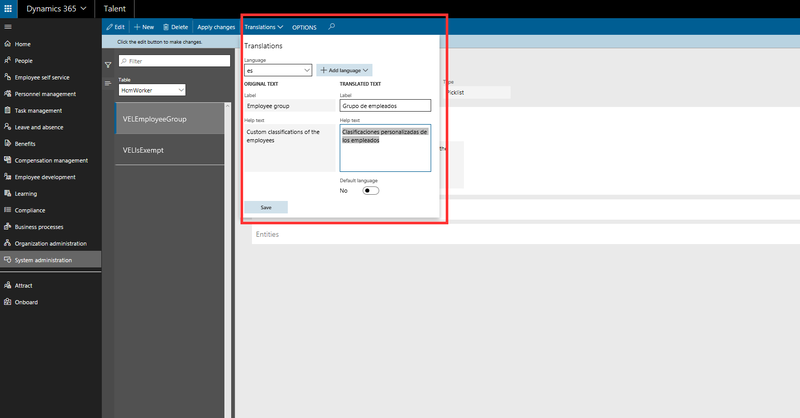 Customers using the HCM module functionalities of AX 2012 R3, can take advantage of the out of the box integration with Talent, which will come out in coming months and they can move their HCM functions to Dynamics 365 For Talent. Alternately, they can continue to use the AX 2012 R3 features until they are ready to move to the Cloud fully. Exciting times ahead for HCM and Talent Management in Dynamics 365. Customers and prospective customers, stay tuned !! Cloud, Hybrid, On-Premise Deployment Options for Dynamics 365 For Operations, Your business application, Your choice, You control !! 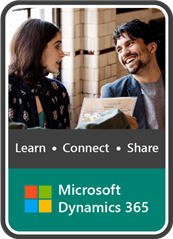 Microsoft Dynamics 365 For Operations is a modern HTML 5, cloud based, intelligent, true SaaS ERP application built and run in the Microsoft Cloud, accessible anytime anywhere in any device, enables customers to run their end to end business operations. Since it’s launch as New Dynamics AX (AX 7) back in February 2016 till the most recent release back in November 2016, it has seen tremendous success and customer adoption, where more and more customers are willing to move their business operations management into the cloud. With all the positive buzz around cloud, there has also been a lot of anxiety in the Customer, Partner and Technical community of Dynamics 365 and Dynamics AX regarding availability of a fully On-Premise or even a Hybrid deployment option. While more and more customers are realizing the benefit of moving their business to a fully cloud based true SaaS ERP, there some customers who are still reluctant and are not sure how their cloud ERP journey will look like, while some other customers are limited and controlled by regulatory requirements, enterprise standards, regulatory data security and privacy requirements, geographical constraints etc., and they do not feel comfortable running their operations on a public cloud environment. Microsoft kept a close watch on these scenarios and finally listened to the crowd. Kudos to Microsoft !!! Back in Summit 2016 held at Tampa Florida, Microsoft announced their intentions and plans of a Hybrid cloud deployment option for Dynamics 365 For Operations. The true meaning of a hybrid cloud deployment is that “Customers will be able to run their business processes and transactions in an environment that are supported by Local application services and their business data will be stored locally on either Customer’s or their partner’s data center, instead of the public cloud (Microsoft Azure), while allowing them to connect and replicate their data and environment to the Microsoft Cloud to take full advantage of the power of Microsoft cloud for automatic updates, business intelligence, financials reporting, telemetry, artificial intelligence, Cognitive services, Customer insights, PowerApps, Flow and more such surrounding apps and services. In Summer 2017, Microsoft plans to roll out this Hybrid cloud deployment options which will be called as “Cloud and Edge’. The business process and transactions will be allowed to run at the edges with business data getting stored locally, this will be referred as “My Workplace”. The central Cloud node (Microsoft cloud) will provide a single view of the business across distributed “My Workplaces” with the power of Microsoft cloud, utilizing it’s surrounding apps and services. With this, Customers will get the best of both the worlds, Cloud and On-premise ! In the Local Business Data deployment scenario, The application servers and the SQL servers will run on Customer’s own data center, however, they will still need to use Lifecycle Services (LCS) in Microsoft Cloud, for managing their deployment, implementation and monitoring. Image/table below shows the side by side comparison of the different deployment scenarios. Stay tuned for more details on this topic at the D365 Technical Conference in Seattle next Month. 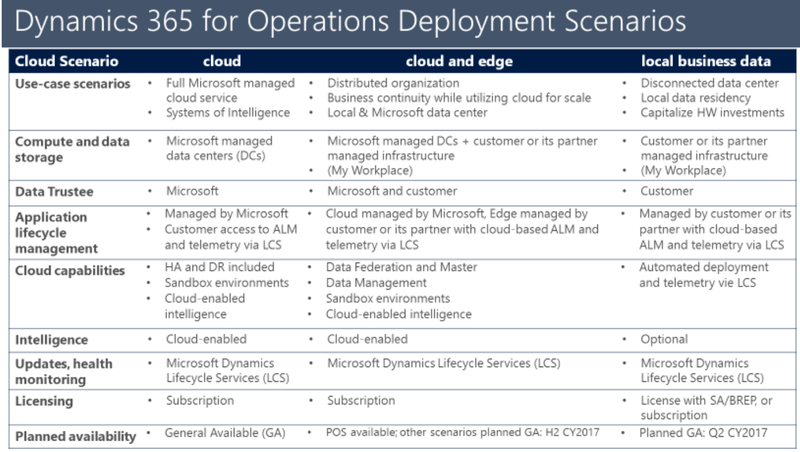 Sri Srinivasan, General Manager of Microsoft Dynamics 365 For Operations at Microsoft announced this in a blog post on 23rd Feb, where he provided additional details on licensing options and availability for these deployment options. You can refer the detail of his blog post at the URL below.